NERVES was established with the purpose of helping neurosurgery practice managers and administrators network, combine resources, and learn from their colleagues about how to build stronger practices. 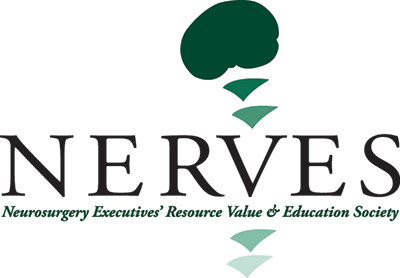 NERVES (Neurosurgery Executives’ Resource Value and Education Society) is the first national neurosurgery practice manager and administrator society in the United States. This organization is the result of an initiative by CSNS. Mark your calendar for April 11 – 13, 2019, for the 2019 NERVES Annual Meeting at the U.S. Grant Hotel, in San Diego, CA. Registration information coming soon. The NERVES Socio-Economic Survey is recognized as one of the most essential planning and development tools within the practice of neurosurgery. The 2018 Report (based on 2017 data) is now available for purchase. Click here to purchase.